North Korea is easily the most mysterious country in the world. No one really knows what the hell is going on in that country so when some photojournalists get a crack at being inside the country you know they can't help themselves. 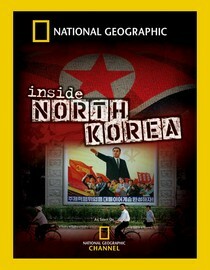 This documentary (click here to add to your queue) centers around a few National Geographic journalists who were able to get into North Korea by accompanying a doctors without borders type of operation in which they cured a thousand people of blindness in just ten days. I really admire the doctor in this documentary and if it were on any other country he would be the real story. But, this is North Korea. You can almost smell the fear the people have of their government. It's eerie to watch and I can't imagine how anyone could live in conditions like that. It's still 1984 in North Korea, they just don't have the two-way television sets. You owe it yourself to watch this just to get a grasp of whats going on over there, even if all you get to see is what they want you to see. Why is it in your queue? National Geographic journalists are still some of the most amazing people on earth. Best thing about the movie? The creepy look of fear and love on everyone's face when they talk about their dear leader. What mood should I be in to watch this movie? Sympathetic.